Thank you for all your sweet words yesterday, you guys make me so happy! Hope you have some fabulous lined up for this weekend (right now fabulous to me sounds like a pool and a post-sun nap! ), and get a chance to check out these other great posts! Thanks for the comment you left on my blog, I really appreciated it! I'm following u with GFC , I hope you will do the same! love this post! you're so sweet! Have a great time at the wedding! I too have a wedding this weekend (but it's 2 hours away, ack)! I loved olive and an arrows all white look the other day. So perfect for summer. Enjoy! And I hope you have a great weekend! Have a great weekend! Weddings are so fun!! So your happiness post inspired me to write a similar-ish one today. I had sort of forgotten this little epiphany I had recently & your post reminded me. And I agree..."meeting" great people like you is why I love blogging too! Oh & I'm kinda jealous Doug loves the camera. I think Copa hates it when I take pictures of her. Maybe it's because I'm always sticking a camera in her face! Have so much fun at the wedding... and a dance party? Sounds pretty awesome! This is such a nice post! Thanks for the links. Everyone looks great! Love this post, amazing looks from all the ladies! 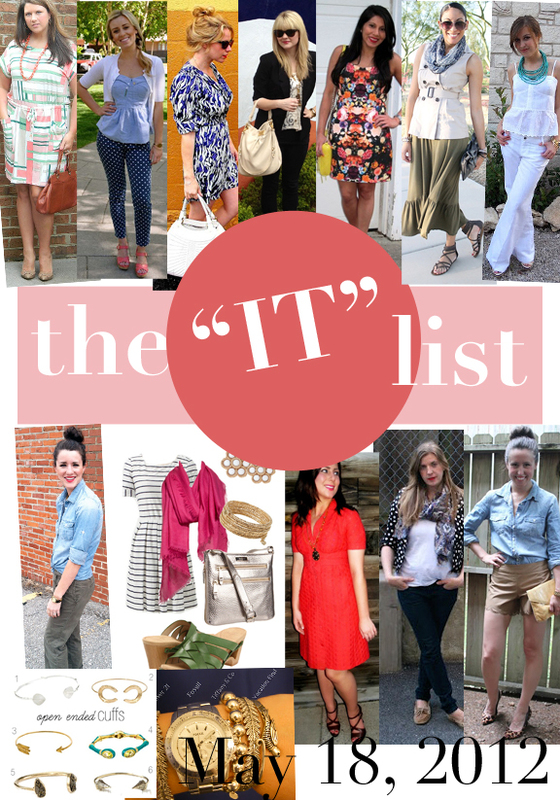 Oooo great list, I love new inspiration and blogs to read :) And wow I LOVE the scallop shorts that you are wearing in this list! All of these outfits are so great. And I secretly see those scalloped shorts--I'm wanting them. Hope you had a fabulous weekend!